The Bookware Bookstore Management Solution is a complete inventory management, point of sale, and e-commerce solution specifically designed for Canadian university and college retail. Bookware's complete integration between all aspects of the system enables you to manage campus retail more efficiently, increasing productivity and profitability. Bookware provides you with a solution that increases cost effectiveness and improves customer service. Bookware allows you to easily create items and specify item-specific attributes, such as item-specific return policies or multiple quantity ordering. At every level Bookware supports both general merchandise and textbook items, including integrated support of new, used, and digital copies of textbooks. Inventory counts are performed using scanners and barcoded count sheets. Detailed inventory reports can be printed for count discrepancies as well as sell-through analysis and profit reports. The Course Planning program enables you to easily create an organized course structure to which you can assign textbooks and course materials, facilitating ordering for each term. Bookware calculates what percentage of enrolled students have purchased the item for a course in the past and displays this sell-through analysis when each item is assigned to a course to help your course planners make their buying decisions. When the courses and materials have been entered, Bookware generates requisitions for the materials according to course, department, term or campus. Course Planning is integrated with Booksaurus, a used book buy-back program, so that any used books which are required for courses can be bought back by your cashiers through BookwarePOS. The Requisitioning program allows you to create, edit, and approve requisitions for inventory items. 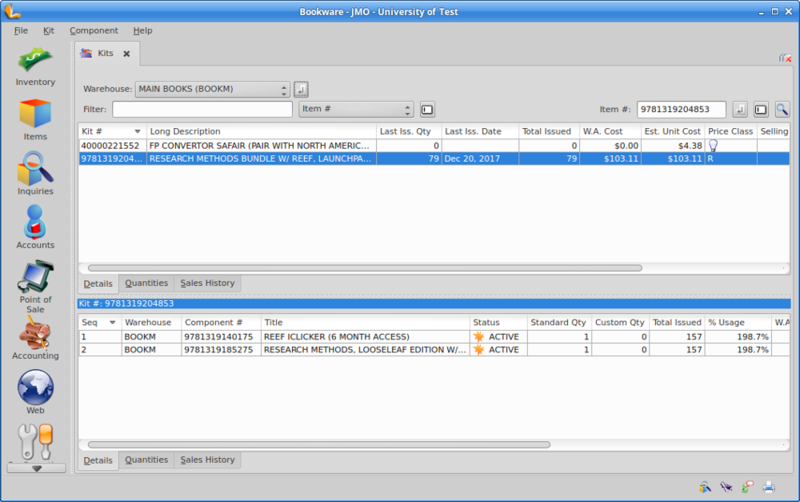 Bookware automatically generates requisitions from Point of Sale (when an item's minimum inventory level is reached), Course Planning (to purchase books for an upcoming term), Receiving (when an item is re-ordered because of a short shipment), and the Customer Orders program (when an ordered item is not in stock). Requisitions can also be generated manually. When requisitions are generated they are sorted by vendor and appear in an easy-to-read summary for each vendor. When the requisitions have been approved they are converted into purchase orders and appear in the Purchasing program. When the items are received, Bookware updates the inventory throughout the system, including automatic price changes at POS. Barcoded labels are easy to print for all items which require them. Bookware notifies you if any items are received for a customer order, and a picking list for the order is automatically printed. Short-shipped and damaged item reports are also generated from the Receiving program, when necessary. The Customer Orders program is used to create and process customer orders: picking lists, packing lists and invoices are all generated for each customer order. Requisitions are automatically created for customer order items which are not in stock. When an item is received for a customer order, the receiver is notified that an allocated item is included in the shipment, and a picking list is printed from Receiving in order to fill the customer order. The Customer Orders program is integrated with the eSolution e-commerce software such that any orders which are placed on your website appear automatically in the Customer Orders program. When ready to ship, the web order is processed through POS which contacts the online payment gateway for completion of the transaction payment. Once the transaction is completed, a shipping notification is sent from POS to the customer. The Returns program manages the return of items to each vendor. Returns can be created manually or through the returns worksheet. The returns worksheet accesses the vendor's return policy and compares the invoice date for each item from the vendor to the length of time the item has been in stock. All items which are listed on the returns worksheet can be selected and automatically added to a return memo for the vendor. A summary of all outstanding return memos is displayed for each vendor, and the progress of each return memo (eg. items have been shipped, but no credit received) is tracked by Bookware. Return memos for which you have already received credit are archived and easily viewable, when desired. Access codes, e‑books, and digital resources are fully supported by Bookware. Digital textbooks can be adopted by an instructor for a course. In Course Planning, the digital textbook is flagged as an alternative to the physical textbook. Bookware provides access cards which can be printed for selling e‑book access codes in store. When an e‑book is purchased, BookwarePOS contacts the digital content provider in real time to retrieve an access code. The PIN code and access instructions are printed on the customer's receipt. On your eSolution website, digital textbooks appear in the course search results along with the physical textbooks assigned to the course. If the customer attempts to purchase both the digital and physical book, the eSolution will warn them that they are purchashing duplicate texts. Upon completion of transaction payment, the access code and instructions are immediately emailed to the customer. Bookware's Events Management program allows you to create and manage multiple events across multiple venues. Events can be booking-type events, such as career fairs with reserved booths, or ticket-type events such as concerts or book readings. For each event, you can set complex capacities and pricing, such as multiple booking/ticket types (such as large booth/small booth or member/non-member or adult/student/child). Event admission (bookings/tickets) can be purchased in person at POS or online through your website. When purchased in person, a physical ticket can be generated and printed for the customer from a designated ticket printer.  When purchased online, the ticket is automatically emailed to the customer after payment has been completed. The ticket displays the event details, your logo, and unique admission barcode. At the event, the unique ticket barcode is scanned to validate the ticket. Ticket validation is via a web based app and can be performed with the standard POS, with Mobile POS, or with a mobile device and a Bluetooth scanner. The Sponsored Students program enables you to create student and sponsor accounts. For each sponsored student account, you can specify the credit limit and any purchase restrictions on the account. At POS, the cashier can access the sponsor account using the student's campus ID card. BookwarePOS will automatically enforce the credit limit and any purchase restrictions. When the purchase is completed, the credit limit for the account is automatically updated and an itemized invoice is automatically generated in Bookware for the transaction. The Accounting program processes all changes in inventory and produces up-to-date and accurate account profiles. Accounts Receivable, Accounts Payable, and General Ledger are all included in Bookware Accounting, enabling you to: reconcile your cash daily, edit the exchange rate, reconcile bank statements, run a trial balance, prepare your GST and PST returns for the government, and reconcile vendor return credits, invoices and payments. Bookware also supports accounting integration with several third-party accounting systems including PeopleSoft, Banner, Datatel, and Great Plains. The Bookware Fax and Email Document Server is a product designed to increase staff productivity and efficiency. The Fax and Email Server allows users to fax or email Bookware documents directly from Bookware: no printing of documents required. Using the Document Server users can easily send the most frequently printed documents: Purchase Orders, Purchase Order Expedite letters, Returns Memos, Returns Permission letters, Returns Expedite letters, and Returns Extension letters. The user can decide by what method each document is sent, fax or email, and can create and add customized messages to the cover page. The transmission log allows you to monitor the status of your faxes and emails. Because faxes can be set to send at a default time, queuing until then, the Document Server can save your store money by reserving the faxes until non-peak times. If your store only has one fax line, the setting of a non-peak default send time ensures that your fax line is open to receive faxes during peak operation hours. EDI, Electronic Data Interchange, allows you to send purchase orders as electronic data directly over the Internet. Incorporated into Bookware, EDI can be used to send POs directly from the Purchasing program. The vendor receiving the EDI order will respond in kind by returning an EDI PO acknowledgement to your store. The acknowledgement will confirm the items which are on order as well as indicate which items are on backorder or are out of stock indefinitely. With the Kitting program inventory replenishment can be controlled by setting minimum inventory levels for components, final products are tracked by the Inventory program, and projection reports can be created to determine how many kits will be needed and therefore how many component pieces need to be ordered. The kitting process is completely reversible: a final product can be "unbuilt" and all the component pieces returned to inventory for individual sale, for use in other kits, or for return to a supplier. Kit reversal is also a useful feature when pre-stocked displays are received in store. The display can be defined as a kit of component parts and then "unbuilt" into those parts for better inventory tracking.